American Century Investments has hired former Wilshire Funds Management CIO Cleo Chang to oversee the development of the firm's liquid alternative investment capabilities. "As we work toward the expansion of our alternative investment capabilities, I can’t think of a better, more strategic leader to oversee this very important initiative," said Victor Zhang, American Century Investments' co-CIO. American Century Investments today announced that Cleo Chang has been named senior vice president and head of alternative investments for the $150 billion* global asset management firm. Chang, who joins American Century on May 18, was previously chief investment officer of Wilshire Funds Management. The appointment of Chang to this newly created investment management role comes on the heels of other recent executive hires in advance of the firm’s anticipated launch of a suite of alternative investment strategies. As head of alternative investments, Chang will be the firm’s most senior investment management executive responsible for the development and oversight of liquid alternative investment capabilities. Specifically, she will provide strategic direction for the firm’s alternative investments initiative, help develop competitive and forward-looking proprietary investment capabilities within the alternatives market in conjunction with the firm’s investment teams, provide oversight to third-party alternatives investment management subadvisors and serve as the company’s thought leader on liquid alternatives, providing her perspective to clients and other external audiences. Reporting to Co-Chief Investment Officer Victor Zhang, Chang will work closely with the firm’s discipline CIOs, experienced subadvisors and senior members of American Century’s investment management team to create a range of solutions for clients. 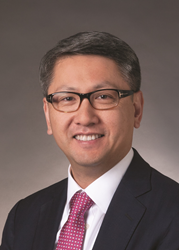 Prior to joining American Century, Chang was with Wilshire Funds Management for 10 years, most recently serving as CIO and managing director. As CIO, Chang oversaw all investment-related functions, including manager research, portfolio management and investment research for both traditional and alternative asset classes. Previously, she was the head of investment research, responsible for creating investment solutions and asset allocation frameworks. Earlier in her career, Chang served as manager of investments with Harris myCFO Investment Advisory Services, a subsidiary of Bank of Montreal. She earned her BA in economics from the University of California, Berkeley and an MS in mathematical finance from the University of Southern California. She also holds an MBA with a concentration in finance from the Marshall School of Business, University of Southern California. In addition to Chang, American Century has made a series of executive hires to support the expansion of its liquid alternatives capabilities. Sandra Testani, CFA, CAIA, joined the firm on March 9 as director of product management, focusing on alternative strategies. On March 16, Brian Schappert was hired as vice president and head of alternative sales within American Century’s intermediary sales organization. Last August, Glen Casey was named senior vice president and global head of products with responsibility for product strategy, management and development for all investment disciplines, including alternative strategies. Testani spent 15 years at AllianceBernstein, most recently as director of alternatives product management, where she covered hedge funds, private equity, fund-of-hedge-funds and registered alternative strategies across high-net-worth, intermediary and institutional client channels worldwide. She was a member of the firm’s alternative investment management committee, which is responsible for its multi-manager offerings. Testani holds a BA in international relations/economics from Boston University and is a CFA and CAIA charterholder. Schappert joined American Century from Gold Bullion International, where he served as senior vice president and head of sales and business development. Prior to that, he was with AXA Distributors in New York. Schappert has a BS in finance from Fairfield University. Casey joined American Century after a 17-year career with Goldman Sachs Asset Management, where he most recently served as head of product and portfolio strategy, U.S. third-party distribution. Casey earned a BS in accounting from Bentley College, Waltham, Mass and an MS in finance from Boston College. In February, American Century filed registration statements for multiple liquid alternative mutual funds, with an anticipated launch later this year. Available under the brand name “AC Alternatives from American Century Investments,” the company has engaged Perella Weinberg Partners Capital Management LP, a leading global institutional asset manager, to provide investment management and allocation services and to recommend and interact with sub-advisors for the new multi-manager mutual funds. The new funds complement two existing American Century-managed funds, Equity Market Neutral and Market Neutral Value, which will be rebranded with the AC Alternatives moniker. The creation of the new brand and upcoming mutual fund launches are designed to address growing client demand for exposure to a wider array of asset classes and non-traditional strategies, according to American Century. American Century Investments is a leading privately held investment management firm, committed to delivering superior investment performance and building long-term client relationships since its founding in 1958. Serving investment professionals, institutions, corporations and individual investors, American Century Investments offers a variety of actively managed investment disciplines through an array of products including mutual funds, institutional separate accounts, commingled trusts and sub-advisory accounts. The company's 1,300 employees serve clients from offices in New York; London; Hong Kong; Mountain View, Calif.; and Kansas City, Mo. Jonathan S. Thomas is president and chief executive officer and Victor Zhang and David MacEwen serve as co-chief investment officers. Through its ownership structure, more than 40 percent of American Century Investments' profits support research to help find cures for diseases including cancer, diabetes and dementia. For more information about American Century, visit http://www.americancentury.com. You should consider the fund’s investment objectives, risks, charges and expenses carefully before you invest. The fund’s prospectus or summary prospectus, which can be obtained by visiting americancentury.com, contains this and other information about the fund, and should be read carefully before investing. There is no guarantee that the investment objectives will be met. Diversification does not assure a profit or protect against a loss of principal.